Notes: Nov. 1946←Dec. 1946→Jan. 1947 Vol 38, No 4. Cover illustration untitled. Table of contents credits all interior illustrations to Swenson. 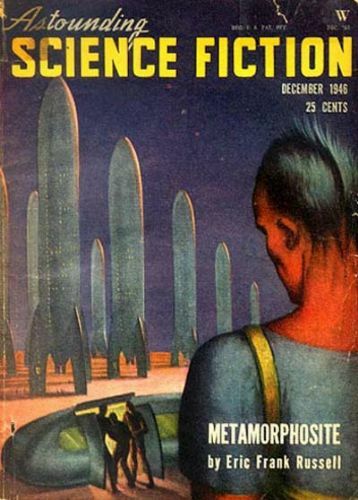 Editor Title: Astounding Science Fiction - 1946 • [Astounding / Analog (1937-1971)] • (1946) • edited by John W. Campbell, Jr.
99 • Bikini A and B • essay by John W. Campbell, Jr.